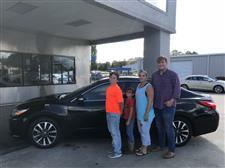 Visit Auto Direct online at www.autodirectms.com to see more pictures of this vehicle or call us at 601-835-3337 today to schedule your test drive. I love my car! My experience was great and I LOVED my salesman!